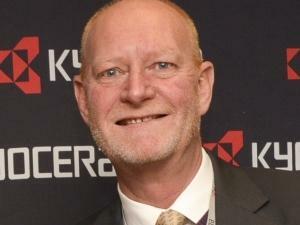 Following more than 20 years working with and for the company, Wayne Holborn has resigned as GM and Director of Kyocera Document Solutions South Africa (KDZA). Werner Engelbrecht, the current Chief Financial Officer will be taking the role of Interim General Manager from 1 March 2018. "After careful consideration and reflection I realised that I needed to begin a new chapter in my life and although it is not yet clear what this new chapter will entail, it will certainly be something new and different," says Holborn. Holborn's journey with KDZA started more than 20 years ago and in these two decades he oversaw the growth, changes and the significant milestones of the organisation. Holborn leaves his role as GM with purpose and clarity and has devised a strategy to ensure business continuity for staff, channel partners and Kyocera's customers. To achieve this, current CFO, Werner Engelbrecht, will take on the Interim GM role as from the 1st of March 2018. "Werner has worked alongside me for more than 12 years and I have every confidence in him to take KDZA into its own new chapter," says Holborn. "Every effort has been made to ensure that it is business-as-usual. I will be available for support, advice, knowledge transfer and guidance over the next four months. I have the utmost faith in the team that has brought KDZA to this point of the business." Engelbrecht's journey with KDZA began 12 years ago as the Senior Manager: Shared Services and since 2014 as CFO. Alongside Holborn, he was part of the management team that has seen the business triple its turnover (270%). "I am looking forward to the opportunity and challenge of taking on the Interim GM role at KDZA," says Engelbrecht. "It is imperative to continue providing customers and partners with the service excellence that they have come to expect from KDZA and together we will strive to do just that. "Wayne has made a significant contribution to both KDZA and the industry. His hands-on approach to business has presented him with the opportunity to work directly with all our customers and he has formed strong business relationships with all stakeholders. We are all sad to see him leave and we wish him all the best in his future endeavours," concludes Engelbrecht. Kyocera Document Solutions is a wholly-owned subsidiary of Kyocera, which is a leading manufacturer of high-tech ceramics, electronic components, solar cells and electronic office equipment.